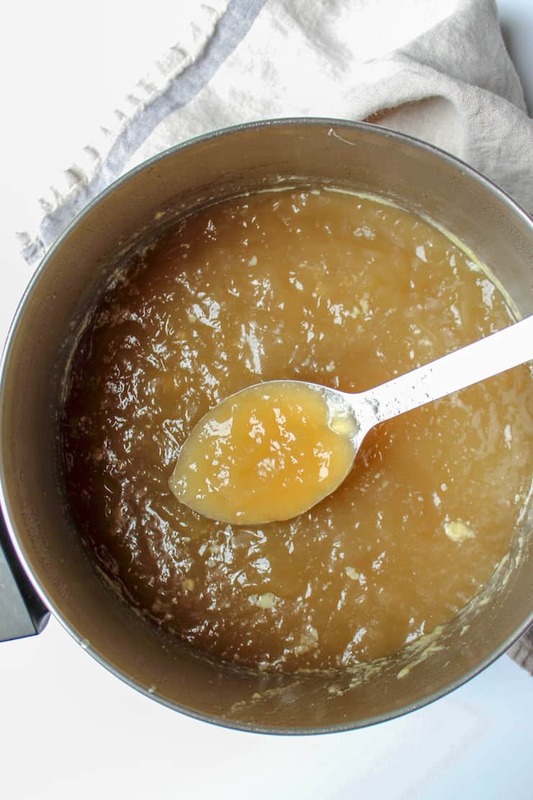 Instant Pot chicken stock, or bone broth, is so easy and fast in the pressure cooker, yielding a flavorful, gelatin-rich stock in half the time as traditional methods. 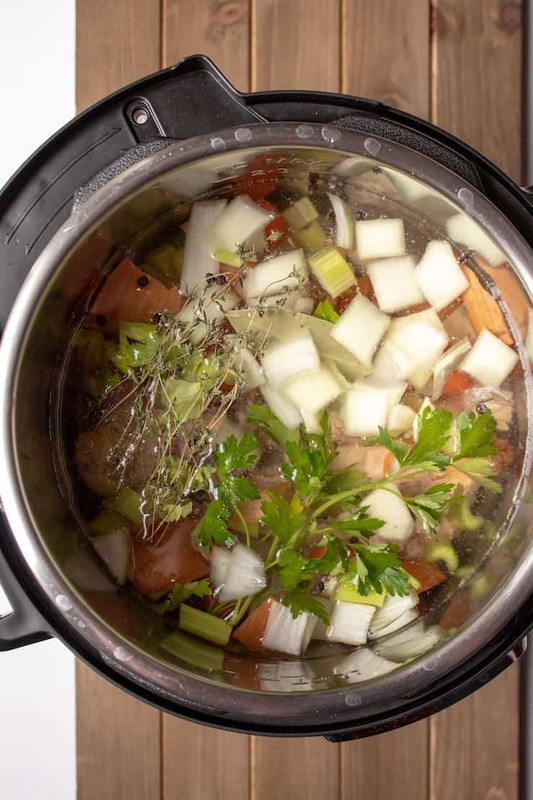 I got an Instant Pot two years ago and by far, I use it most for making stock. I’m the kind of person who starts to panic (slightly) when my freezer is low on homemade chicken stock. It’s the backbone of so much of what I cook, from soups and stews, to many, many pan sauces and gravies. I prefer homemade, it’s just so much better than store bought. I haven’t made chicken stock on the stove top in like, forever. The Instant Pot is just so much easier and quicker. And I can make it anytime, not just when I can carve out several hours on the weekend. I save all chicken bones and scraps in the freezer, including backs or carcasses from rotisserie chickens. I often de-bone my own chicken thighs, saving the bones in the freezer. And I usually have chicken wings in the freezer, also for stock. Then, I usually see what’s hanging out in the crisper, some celery, carrot, maybe a leek or some green onions, even a few crimini mushrooms, perhaps. 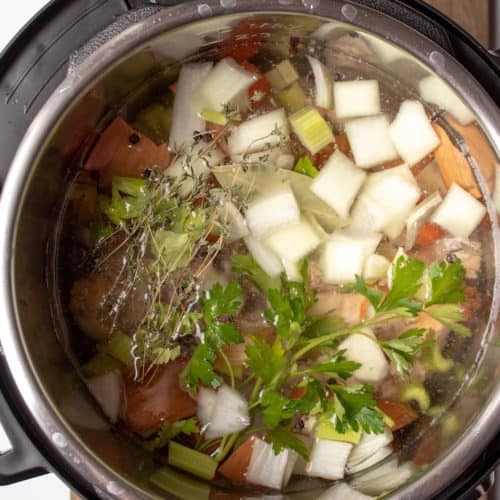 Onion, garlic, some aromatics… the same things you use for traditional stove top stock. The big difference here is using less, because the flavors concentrate and there is no evaporation, and dicing the veggies for better extraction of flavor. 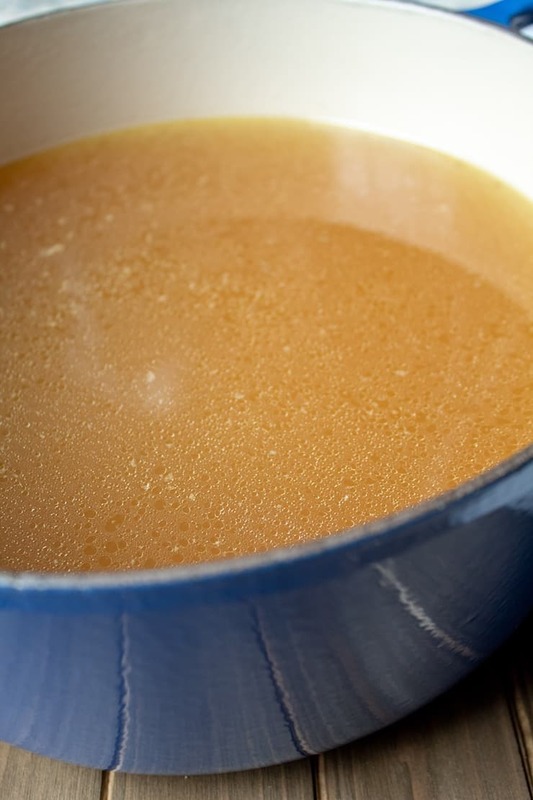 What is the difference between chicken stock and bone broth? In a nutshell, they are basically the same thing. 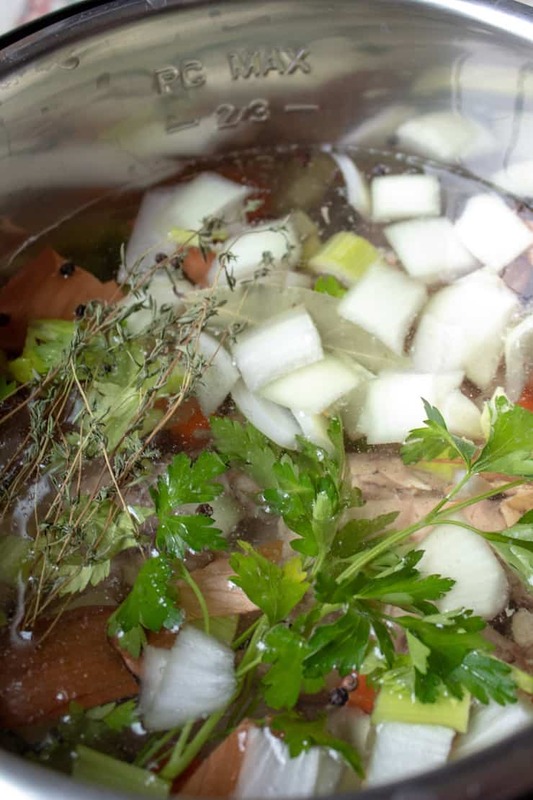 Bone broth is essentially stock, which has more collagen from the joints and bones from simmering a long time. 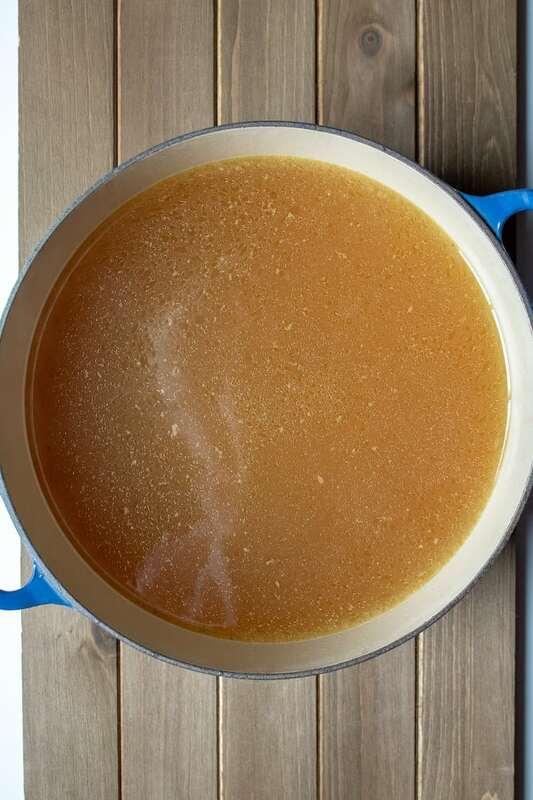 Chicken broth is thinner and uses more meat and less cooking time. Some believe adding apple cider vinegar helps extract the collagen from the bones, that is debatable and I don’t do that, and I don’t like the taste of it. 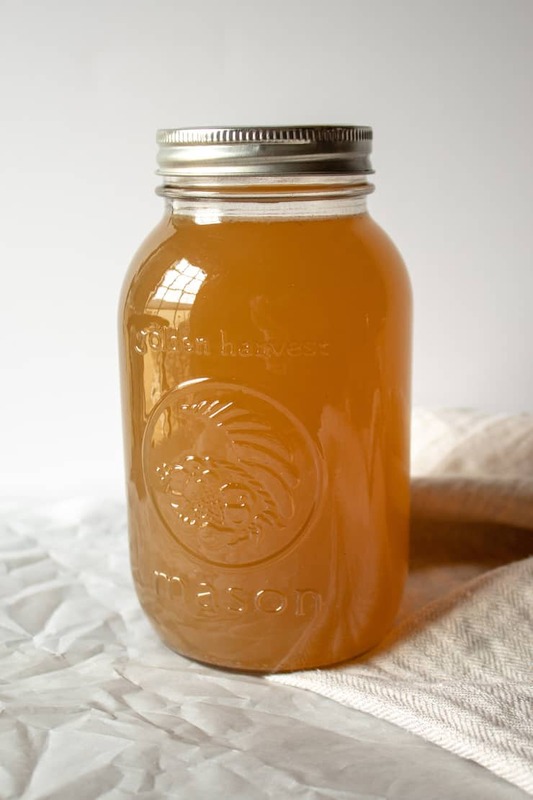 A good chicken stock/bone broth is defined by it’s viscosity, it’s actually “jellied” in consistency after cooling and refrigerating. 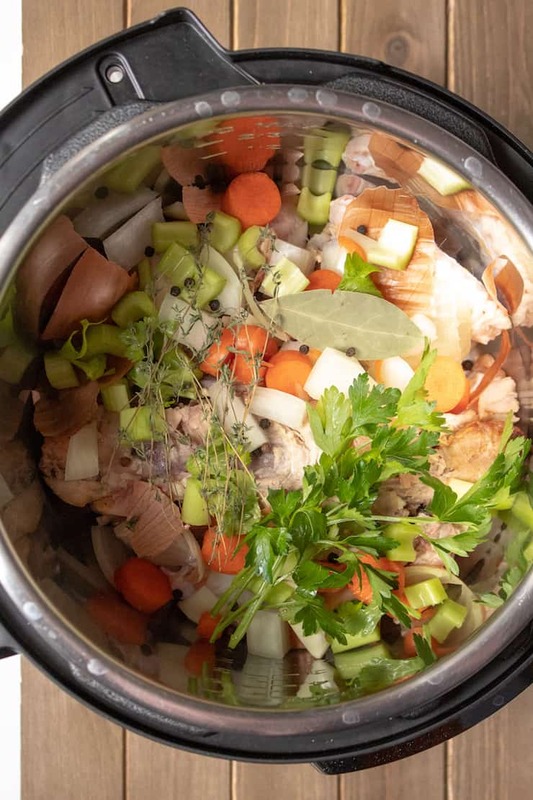 The photo below is my turkey stock I make at the holidays, on the stovetop for hours. And a last word regarding salt. Most stock recipes say no salt, leave it for when using it in the final dish, hence salting to taste. I, however, add a little salt when I make stock to bring out the flavor, that’s what salt does! Not much and my chicken stock definitely is not “salty”. You can also use fish sauce, I have and it’s good, a little salty umami flavor. 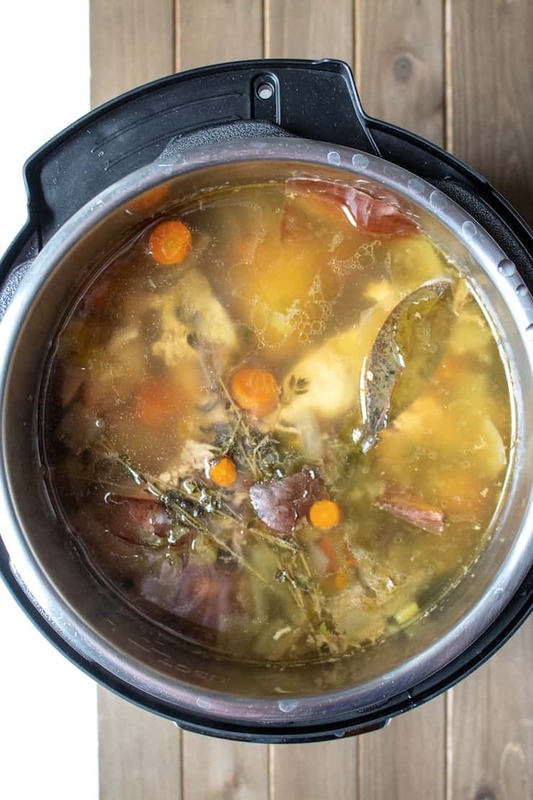 If you’ve tried this Instant Pot Chicken Stock, please rate it below in the comments and let me know how it went ~ I love hearing from you! HUNGRY FOR MORE? Subscribe to my Newsletter and come hang out with me on PINTEREST, INSTAGRAM and FACEBOOK for all the latest updates. Place all ingredients in electric pressure cooker insert. Seal pressure cooker and set for 90 minutes on high pressure. When finished cooking, let naturally release for 20 to 30 minutes. Release any remaining pressure and strain stock through a fine mesh sieve into a stock pot. Let cool completely before refrigerating. Next day, skim off any hardened fat, if desired, and ladle into containers to use now or freeze for later. Enjoy! I always use wings and anything else I've saved in the freezer, like rotisserie chicken backs and bones. Keep the skin and fat, it adds flavor and color! You can always skim off the fat later. 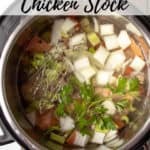 Chicken stock in the Instant Pot can cook anywhere from 45 minutes to 2 hours. I have settled on 1½ hours as my preference. Feel free to add anything that's hanging out in your crisper that's seen better days, such as leeks, green onions, parsnips and even mushrooms. I usually end up with 3 quarts of stock, sometimes a bit less or more. I use a 6-quart electric pressure cooker. The secret ingredient has been revealed.